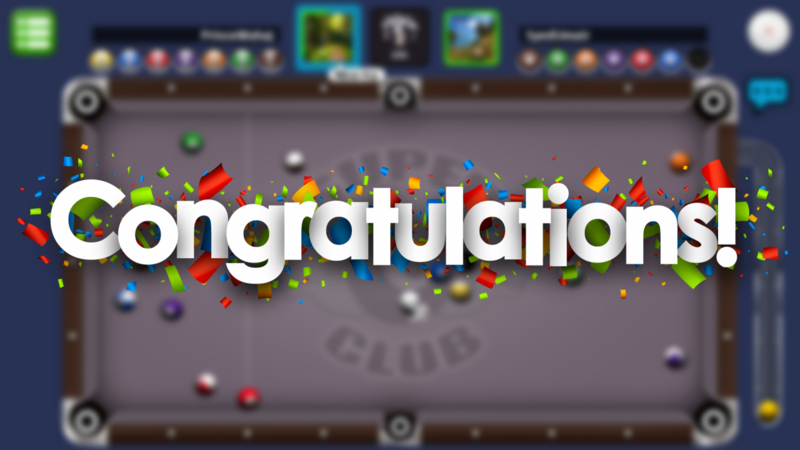 You can find the complete in-game data of each winner along with all their matches that were played in Super 8 Ball Club V2. All the in-game shot-to-shot details are available in each row. In the "Match Details" column, the information wrapped in [ ] is related to the opponent and the information that is not wrapped and only separated by comma is related to the winner of the match. Note: Matches that were cancelled are colored in red. The cancellation occurs due to various reasons. Users who are displayed in red are not necessarily the abusers. Their payouts are being processed. Want to see your fellow steemians in action? Come join the club today. Download Super8BallClub from Play Store. Win the matches to earn STEEM/SBD and lose nothing when otherwise. Powered by STEEM Blockchain. For more information, please read our announcement.